We are less than a week away from the Zelda Dungeon Marathon! The closer we get, the further away it feels, so we thought we’d help you out with the cure and give you a killer episode of The Champions’ Cast with renowned composer Rozen! A returning guest to the show, we sit down and pick his brain about composing, his origin story, his new album Ballads of Hyrule, get a hint of his next project, and much more! Then we move on the really important questions: is he a Final Fantasy VIII or Final Fantasy IX kind of guy, and what’s the temperature in LA right now? It’s all here! This is a great episode that you won’t wanna miss! 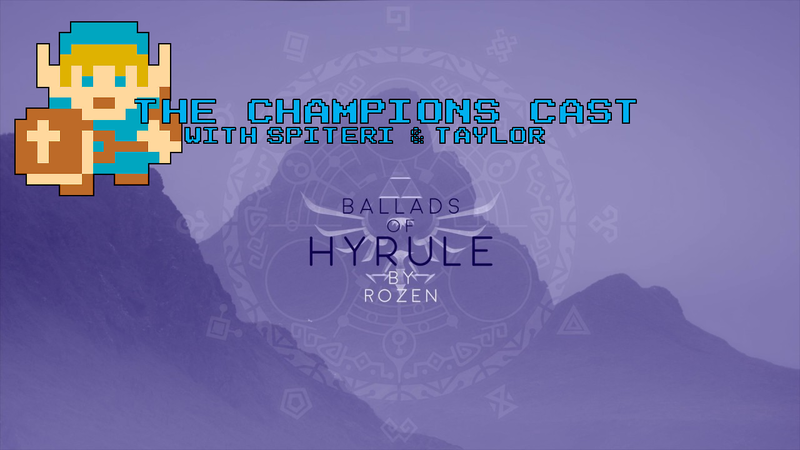 And be sure to check out Ballads of Hyrule over on Rozen’s website here!